Ateneo Hotel, Madryt, Hiszpania : Rezerwuj teraz! 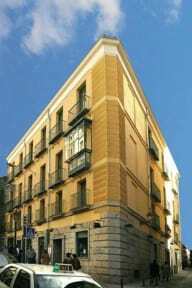 The hotel Ateneo is situated in the historic centre of Madrid, 20 meters away from the Puerta del Sol, on a historic building constructed before 1774, and after reformed by the great architect Ventura Rodriguez. Its location makes it an ideal starting point for short walks to many of Madrid's most interesting sites: Triangle of Art (Prado, Reina Sofia and Thyssen Museum) The Royal Palace, The Plaza Mayor, churches, monuments, shopping, restaurants, theatres, and many different club and discos. 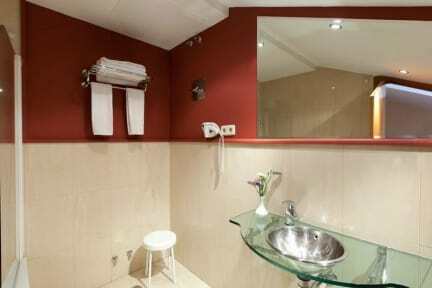 Each 38 rooms have bathroom with telephone and hair-drier, telephone with ADSL line mini bar security box air conditioning.